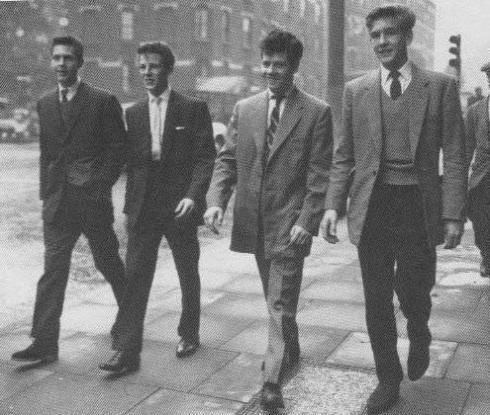 How To Dress Through The Ages. So we all like finding that bargain piece down our local charity shop, that everyone asks “where did you get that from?” I love that smug feeling I get. But its not always easy to spot the diamond among the rough, so I though I’d share with you some tips on how to spot clothing from different era’s, so you can dress through the ages. 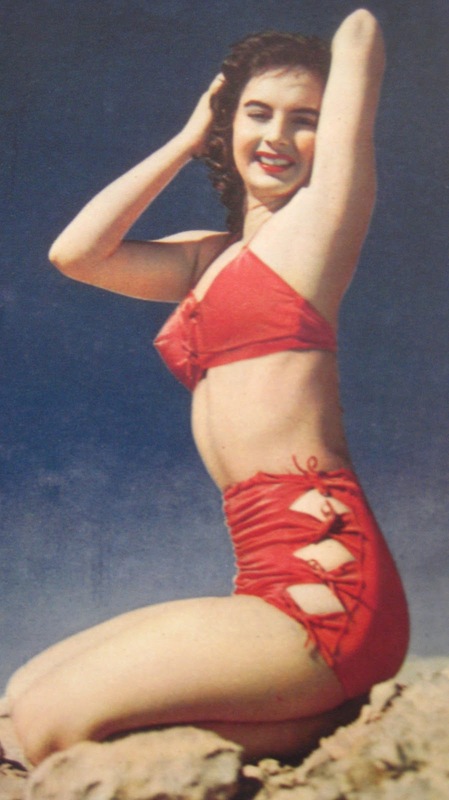 Italian postcard of a bathing beauty, showing the transition from bare midriff to fully exposed belly button 1947. 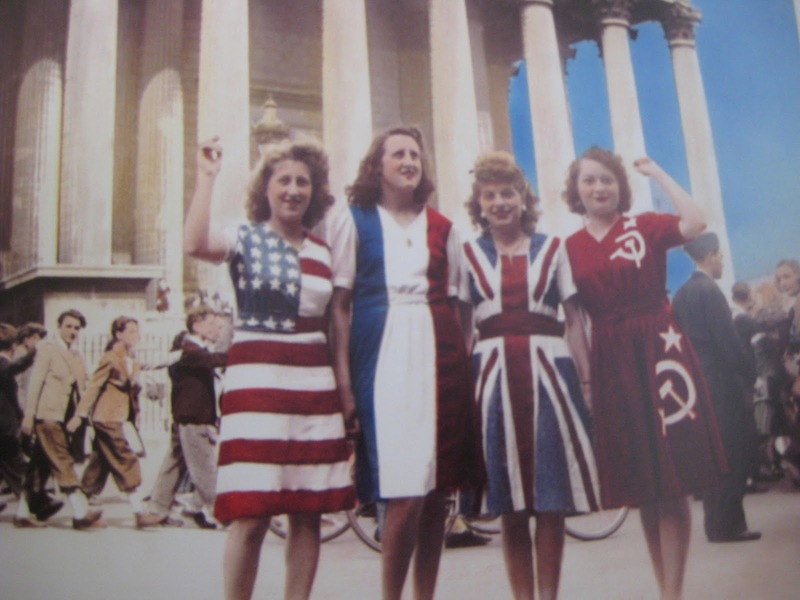 In the 40’s with the WW2 going on the world saw the 1st mass use of man made fibers in clothing manufacturing. 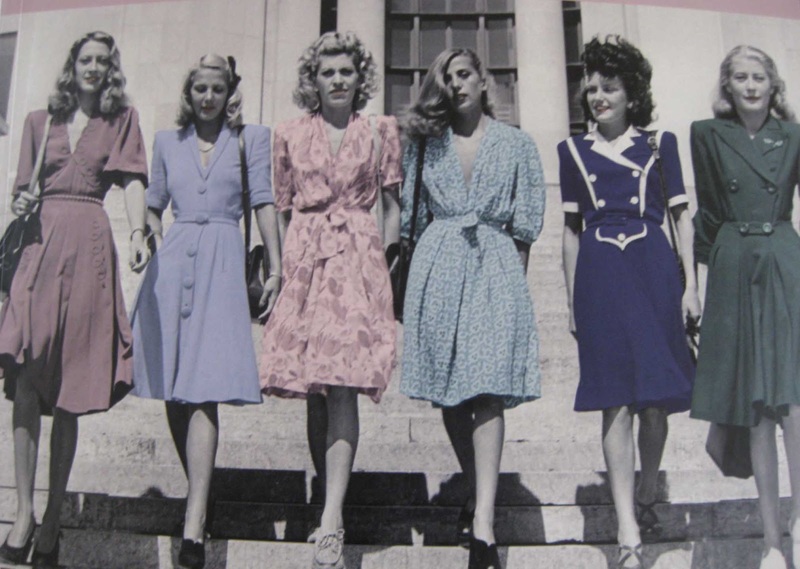 The classic 1940’s style is A-line skirts/dress, but mainly workforce and utility dress, there was a focus on DIY fashion with many articles on how to change a mans suit into a women’s suit. It was illegal to buy clothing from abroad, including Ireland which was a neutral country, in Britain when clothing rationing was going on, if you were caught you would get a serious fine. 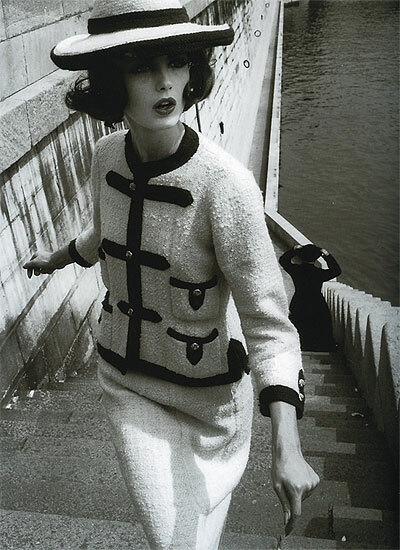 The 50’s saw a change in female dress after Dior’s New Look was unveiled in 1947. Following wartime measures in the 40’s women wanted to look feminine again. 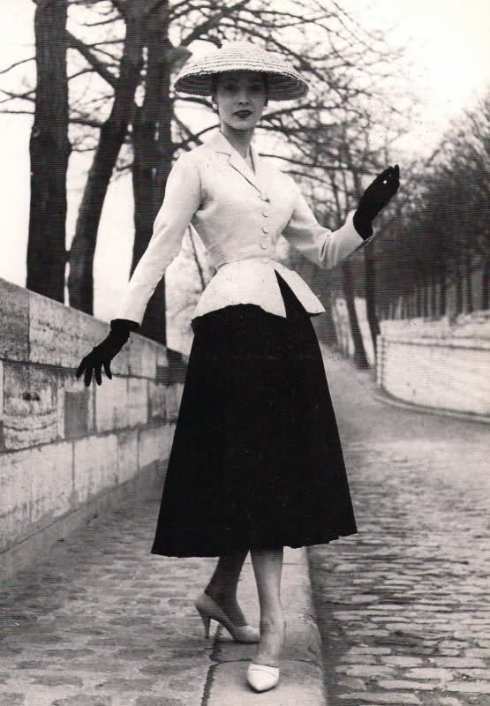 Designers such as Balenciaga, Laroche and Givenchy (the designer of the classic little black dress in Breakfast at Tiffany’s) were iconic in this era: they embraced feminine fashion and determined the looks of the decade. 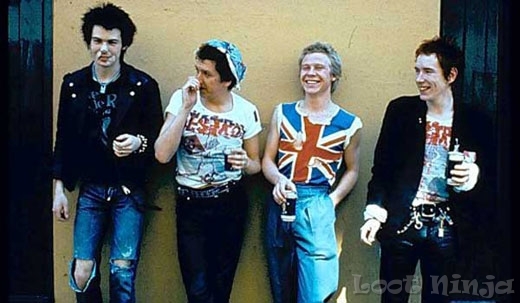 The American influence, wide belts, gloves, hats, nipped in waists. 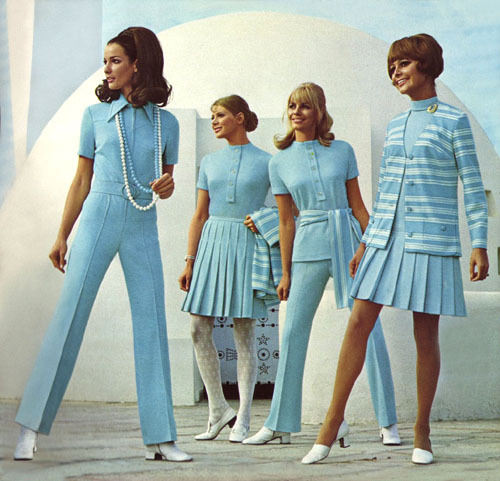 Trends from the 60s are well known for their wide-reaching influence on fashion. 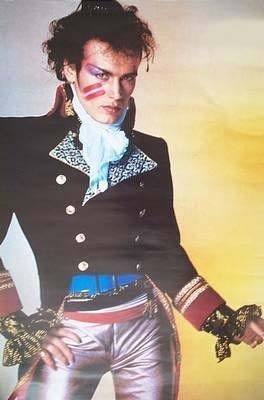 A revolution was approaching and fashion was extremely important among young people. 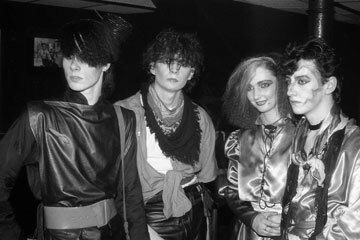 This generation had more power and more money, and Britain — in particular London — was where everyone wanted to be for the most experimental clothes and accessories. Hemlines shortened and prints became ever bolder, inspiration was taken from music and a change in lifestyle. 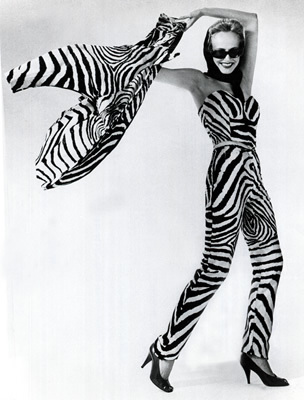 The 60s also saw the revival of Art Deco, with the opening of the famous Biba store. 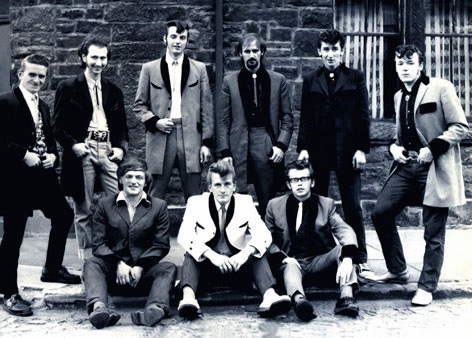 Fashion in the 70s saw a wide variety of trends, from folk to disco to punk. The influence of disco was seen widely in fitted lycra clothing, flares and hotpants. 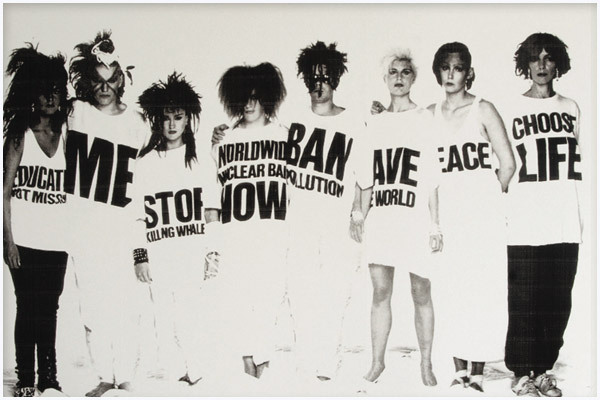 For some, fashion became more natural, in line with a more ethical lifestyle. 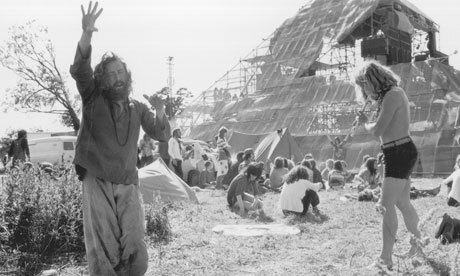 The hippy looks were reworked with a folksy feel. Hemlines fell and shapes and structures became more relaxed. Designers took inspiration from traditional crafts such as weaving, knitting and tapestry. 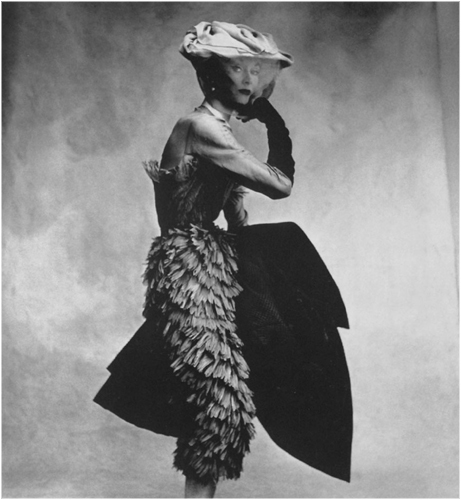 Collaborations became more popular — designers such as Ossie Clark and Celia Birtwell worked together. 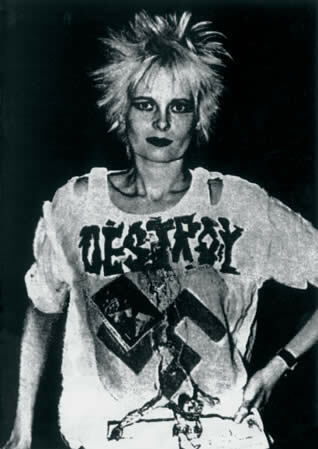 And the famous designer Vivienne Westwood lead the punk movement. 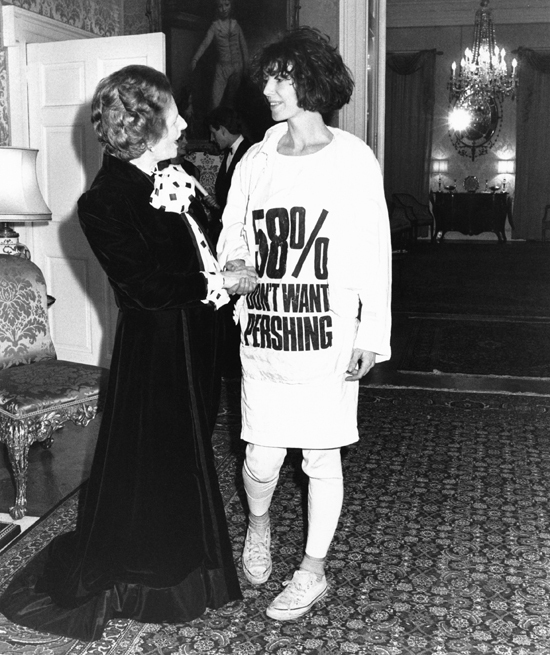 Fashion in the 80s took great influence from political changes. Anger over the economic depression was reflected in street style. But by the second half of the decade things were beginning to look up, and this was shown in the clothing. 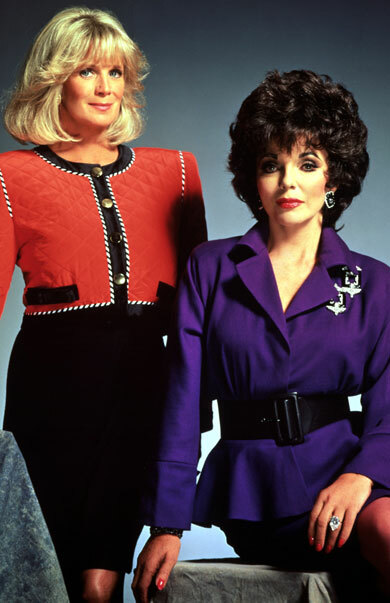 Two themes emerged: power dressing became popular among women as they became more dominant in the workforce — pencil skirts and shoulder padded power blazers reigned for working women — and 80s sportswear was important, with brands like Nike leading the way, and bright colours, neon shades and shellsuits gaining popularity. Streetwear- graphics, tartan, stripes, denim and leather.